Masterworks from MoMA will feature close to 150 works, including some never before seen in Australia. Artists on the line-up include Paul Cézanne, Salvador Dalí, Marcel Duchamp, Edward Hopper, Jeff Koons, Henri Matisse, Piet Mondrian, Pablo Picasso, Jackson Pollock, Lyubov Popova, Mark Rothko and Vincent van Gogh. The exhibition will take over the entire ground floor of the St Kilda Road gallery and span 130 years of modern-art history. Fashion Forward, Three Centuries of Style (1715-2016) at the Musée des Arts Décoratifs in Paris (until 14th August) is a deliberate attempt to show clothes from grand gowns and pretty childrenswear to today’s mixed-gender wardrobes. Australia is host to some outstanding photographic exhibitions over the winter months. Henry Talbot is an iconic name in Australian photography, so to have 80 of his never-before-seen images from the Swinging Sixties assembled in an exhibition at the National Gallery of Victoria is a rare treat. set at the Oscar Niemeyer-designed Niterói Contemporary Art Museum, which sits on a cliff, overlooking Guanabara Bay with the Rio landscape at the back. The museum was recently refurbished for the occasion, while Brazil goes through one of the worse economical and political crises of recent years, international events like this keeps Rio de Janeiro in peoples mind. Regarded as one of the most beautiful cities in the world, the back drop chosen by Nicolas Ghesquière’s couldn’t been more quintessential Rio than the museum. The university will honor and celebrate the 35-year reign of the storied House of Herrera with an expansive dual exhibition of Herrera’s designs. “Refined Irreverence” opens simultaneously on May 20 at SCAD FASH Museum of Fashion + Film in Atlanta and at the SCAD Museum of Art in Savannah. “My design philosophy is elegance and beauty,” Herrera tells Vogue.com. “You can be elegant in revolution, and you can be irreverent without shocking people.” To wit: featured pieces from “Refined Irreverence” like a prim black and taxi yellow, wholly sequined suit from her first collection, or a full-sleeved, sparkling zebra wrap dress that dates back to 1983, both on display alongside more contemporary pieces like the fuchsia, Korean-inspired duchesse gown Angelina Jolie donned in Vogue in 2010. Frida Kahlo has provided inspiration to fashion designers for decades, “John Galliano, Dolce & Gabbana, Christian Lacroix, Kenzo, McQueen, Viktor and Rolf, Karl Lagerfeld, Moschino, and more have been inspired by her personal style and artistry. Claudia Schiffer, Salma Hayek, Laura Ponte, Nati Abascal, Milla Jovovich , and many more have all participated in photoshoots inspired by her aesthetics . 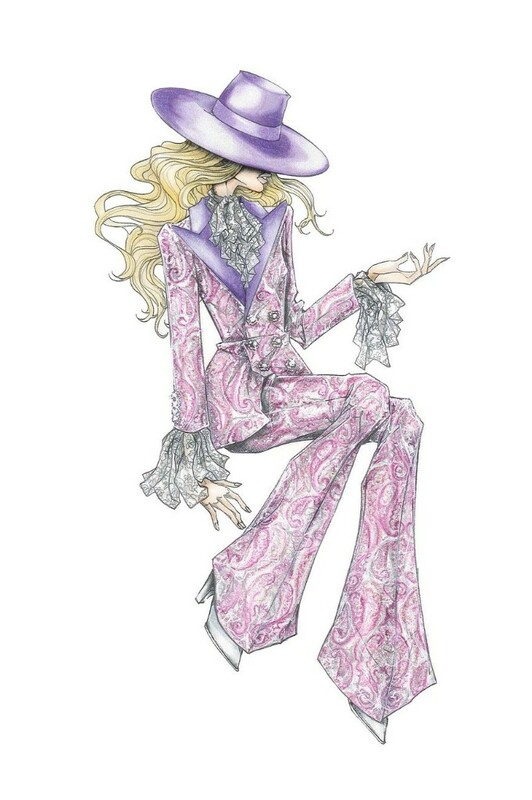 As the Fashion and Art theme is filing art galleries all around the world, it is our chance to join in this trend, by visiting this exhibition running from 25 Jun to 9 Oct 2016 at the Art Gallery of New South Wales. 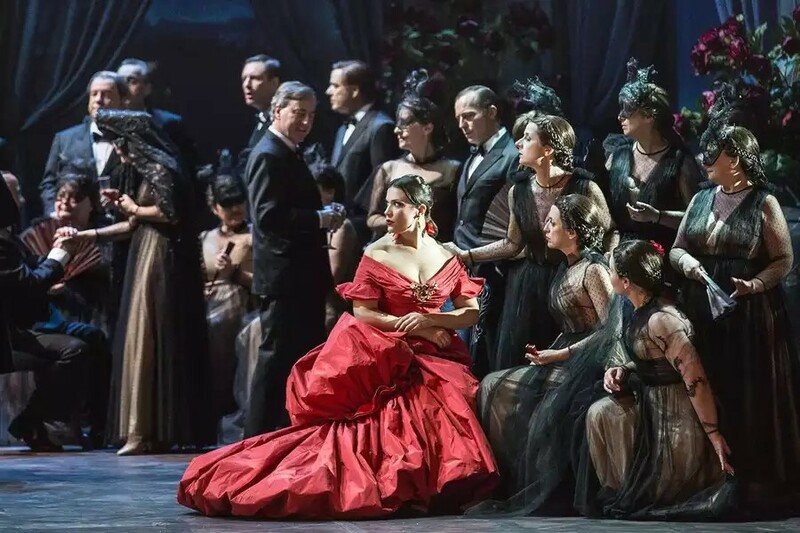 Valentino Garavani join forces with director Sophia Copola, bringing to life and adding a touch of glamour and modernity to the Opera La Traviata. Valentino designed four dresses for the opera with his sucessors Maria Graça Chiuri and Pierpaolo Piciolini oufitting the entire cast. Red, one of Valentino’s favorite color, was used in one of Violetta dresses.